The Lost Paladin: Find and claim the Sword of Heroes. 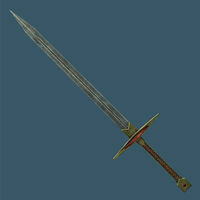 Chrysamere has previously appeared in Arena, Daggerfall, and Morrowind. For more information, see the lore article. This page was last modified on 29 November 2018, at 16:43.